Windstar Cruises, the three-ship fleet of luxury yachts, announced its 2013 collection of luxury sailing voyages in the Caribbean, Costa Rica, Northern Europe, Italy, Mediterranean, Greek Isles and trans-Atlantic crossings. Windstar's new offerings include seven new voyages, highlighted by two 11-day voyages, Footsteps of Faith, exploring origins of world religions between Athens and Alexandria, and Scandinavian Tapestry, which includes sailing in the Norwegian Fjords and Stockholm Archipelago. Other new voyages include explorations through the British Isles, the French coasts and the Canary Islands. Windstar also officially unveiled details of an $18 million renovation its three sailing yachts -- Wind Star and Wind Spirit, each hosting 148 guests, and Wind Surf, with 312 guests. All three yachts now have redesigned staterooms, owner's suites, corridors and public spaces. The four-masted Wind Star and Wind Spirit also will introduce new design schemes in The Restaurant, Veranda, Lounge, Pool Bar, Library and WindSpa. Wind Surf, a five-masted sailing yacht, also will feature new designs in The Restaurant, Degrees, Veranda, Compass Rose, WindSpa, Yacht Club, and Pool Bar. In addition to 2-for-1 savings fares on 2013 voyages, guests who book by May 31, 2012, will receive an additional 5 percent savings on back-to-back cruises. Windstar's Foremast Members receive an additional 5 percent discount on all itineraries. Windstar will feature three new cruises in the Mediterranean -- the seven-day Casablanca & the Canary Islands, the seven-day Provence & Cote d'Azur, and the 11-day Footsteps of Faith. Four new Voyages in Northern Europe include the eight-day Europe's West Coast Odyssey, the seven-day Idyllic British Isles, the seven-day Gaelic Explorers, and the 11-day Scandinavian Tapestry. Windstar also has more trans-Atlantic options. Wind Surf sails from Philipsburg, St. Maarten, to Lisbon, Portugal, for a 14-day crossing on March 30, 2013, and a 14-day sailing from Tenerife to St. Maarten on Nov. 23, 2013. Wind Star also offers two options, sailing eight days from Colon, Panama, to Hamilton, Bermuda, on March 30, 2013, and from Hamilton, Bermuda, to Lisbon, Portugal, on April 7, 2013. Wind Spirit will sail from Tenerife to Barbados in a 12-day crossing on Dec. 2, 2013. 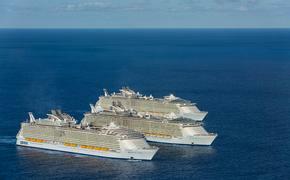 Two-for-one cruise fares start from $1,299 per person.